Guelph, Ontario (April 18, 2018) — Today, condominiums are one of the fastest-growing segments in Guelph’s real estate market. 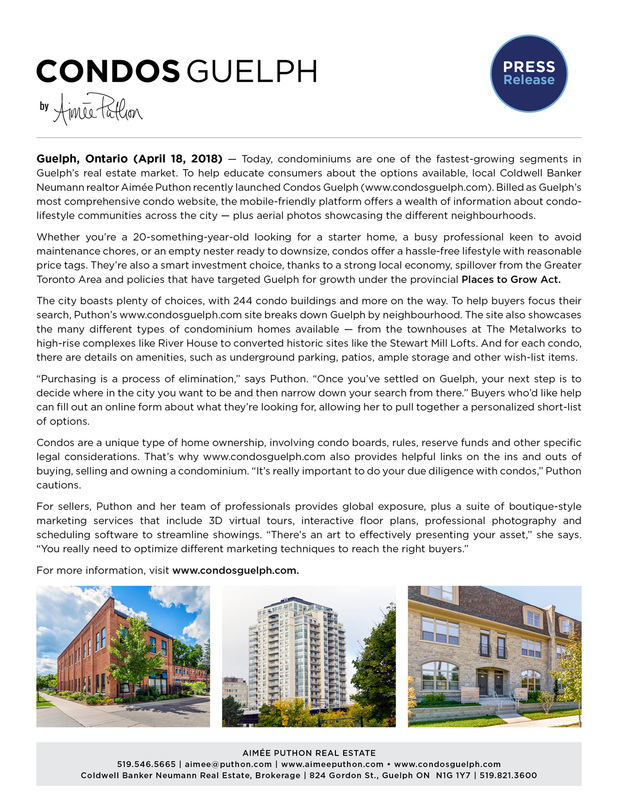 To help educate consumers about the options available, local Coldwell Banker Neumann realtor Aimée Puthon recently launched Condos Guelph (www.condosguelph.com). Billed as Guelph’s most comprehensive condo website, the mobile-friendly platform offers a wealth of information about condo-lifestyle communities across the city — plus aerial photos showcasing the different neighbourhoods. Whether you’re a 20-something-year-old looking for a starter home, a busy professional keen to avoid maintenance chores, or an empty nester ready to downsize, condos offer a hassle-free lifestyle with reasonable price tags. They’re also a smart investment choice, thanks to a strong local economy, spillover from the Greater Toronto Area and policies that have targeted Guelph for growth under the provincial Places to Grow Act. The city boasts plenty of choices, with 244 condo buildings and more on the way. To help buyers focus their search, Puthon’s www.condosguelph.com site breaks down Guelph by neighbourhood. The site also showcases the many different types of condominium homes available — from the townhouses at The Metalworks to high-rise complexes like River House to converted historic sites like the Stewart Mill Lofts. And for each condo, there are details on amenities, such as underground parking, patios, ample storage and other wish-list items. “Purchasing is a process of elimination,” says Puthon. “Once you’ve settled on Guelph, your next step is to decide where in the city you want to be and then narrow down your search from there.” Buyers who’d like help can fill out an online form about what they’re looking for, allowing her to pull together a personalized short-list of options. Condos are a unique type of home ownership, involving condo boards, rules, reserve funds and other specific legal considerations. 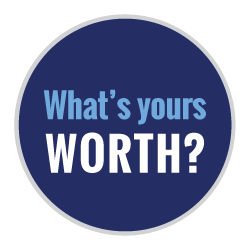 That’s why www.condosguelph.com also provides helpful links on the ins and outs of buying, selling and owning a condominium. “It’s really important to do your due diligence with condos,” Puthon cautions. For more information, visit www.condosguelph.com. Ontario is moving forward to better protect condo owners and residents by increasing consumer protections in Ontario’s condo communities. Addressing the growing needs of condo communities across the province and supporting long-term sustainability of condo living is key to our government’s mandate. Creating new consumer protections will help to build more sustainable condo communities so residents moving into condos today and in the future will be able to look forward to healthy condo communities and peace of mind in the place they call home. TORONTO, New protections for condo owners and rules for managers and directors in Ontario are taking effect this fall. Government and Consumer Services Minister Tracy MacCharles says more than one in 10 people in the province live in a condo and more than half of the new homes under construction are condos. 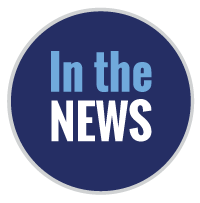 Starting this fall, new rules will make it easier for condo owners to participate in owners’ meetings and will make it easier for them to access records of their condo corporation. Directors will have to disclose whether they are owners or occupiers of units in the building or if they have interests in contracts involving the corporation, which MacCharles says will improve governance and address conflicts of interest. Directors will also have to undergo training and there will be mandatory education requirements for condo managers applying for a general licence. Two new administrative bodies will launch this fall _ the Condominium Authority of Ontario will provide education about condo owner rights and responsibilities and will manage the tribunal that resolves disputes about access to records, and the Condominium Management Regulatory Authority of Ontario will regulate and licence condo managers.